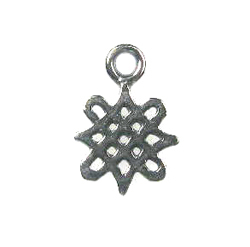 Sterling Silver, Small Celtic Knot Charm. Measures Approximately 8.5mm x 12mm. Sold per piece. This is a great charm for St Paddy's Day or any Irish, Ireland themed jewelry.